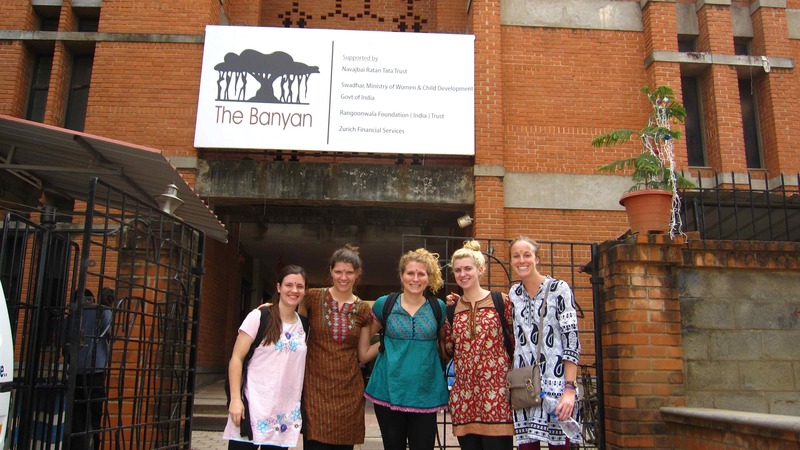 Medical Students from Texas Experience The Banyan. 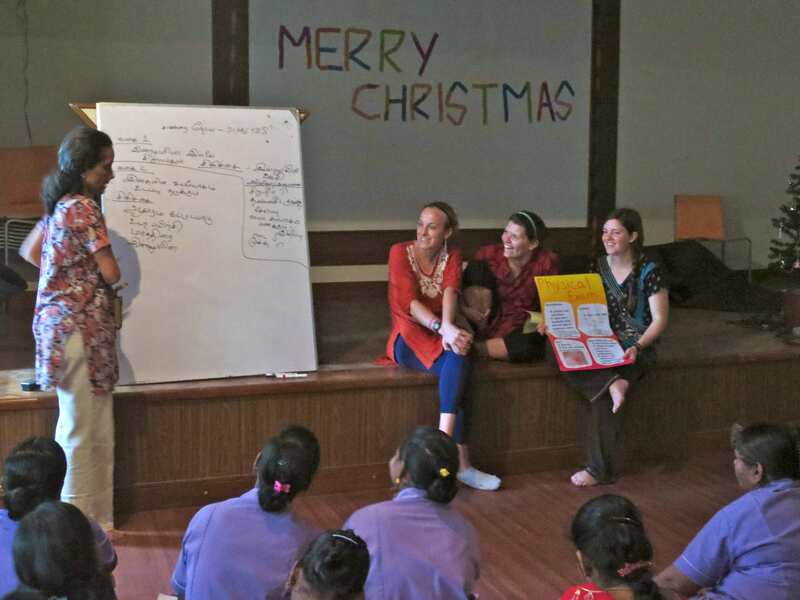 A group of medical students, from the USA, recently spent two weeks with us at The Banyan. We were impressed with the way they worked with the residents during their stay. They shared their experiences with us …. The group of medical students from Texas at Adaikalam. “We are a group of medical students from the University of Texas Health Science Centre at San Antonio (UTHSCSA) who interned under Dr. Weiss at The Banyan. 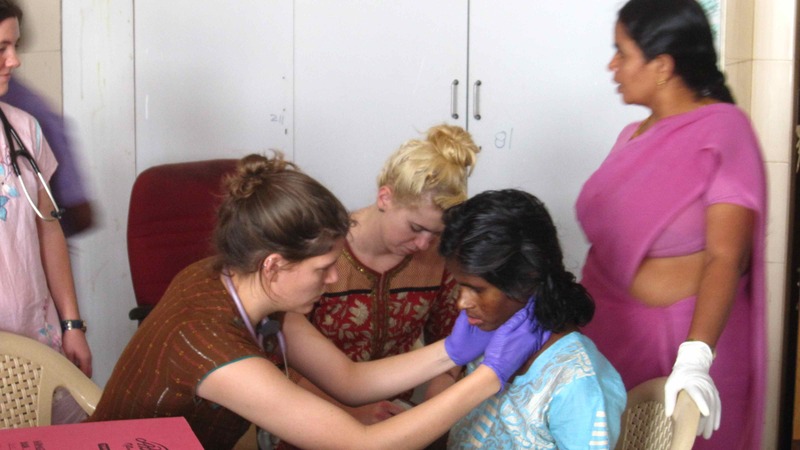 We performed physical exams on all of the residents at Adaikalam during our two-week stay in Chennai. We really enjoyed experiencing mental health first hand; we found it humbling to view the happiness of the residents regardless of their circumstance. The students working with the residents. It was always a joyful occasion to be greeted at the gates of The Banyan to music, dancing, and smiling faces. We learned a lot from Dr. Weiss and the healthcare workers about patience, compassion, and hard-work. Dr Renu, the staff of The Banyan and the medical students from UTHSCSA participating in a training session. I was previously a little intimidated to work with mental health patients as I was under the impression that they are wildly unpredictable and sometimes violent. The ladies at the Banyan were successful in helping me overcome these fears, as they were very kind and welcoming of my presence. When the healthcare workers told us stories about the ladies getting violent, it was with laughter, so it is apparently nothing that cannot be overcome. This ease of my previous concern, along with the attachments that were formed to some of the patients allowed me to experience that working with mental health patients can be very rewarding. While at a clinic in Kenya, I made friends with a Kenyan nursing student named Esther. One day I asked Esther how she could bear to see so many hungry children everyday. Esther told me, essentially I don’t remember the direct quote, that she had a hard life growing up and that those hungry children should work as hard as she did. While I understand that I was born into very privileged circumstances by virtue of the fact that I was born American, Esther’s sentiment has never settled well with me. When I asked Leela, the Nursing Superintendent at The Banyan, why she cared about the women at The Banyan she said “Because they are human beings,” with consternation in her voice too! As if she couldn’t understand why I would ask such a question! Right on, Leela! I appreciate the opportunity to work with so many compassionate individuals who want to care for the patients of The Banyan because it’s the right thing to do. In a few short words, what I gained from my experience at The Banyan was an opportunity to overcome some unnecessary fears, and to learn from the example of an organization, a group of workers, and one individual what it means to commit yourself to compassionate service of a worthy population. I hope this gives you some insight as to what was important, at least for me, in this experience. And don’t sweat the profanity, an impassioned rant or two (so long as it’s not aimed at anyone present), was an effective tool for expressing concern for your patients.